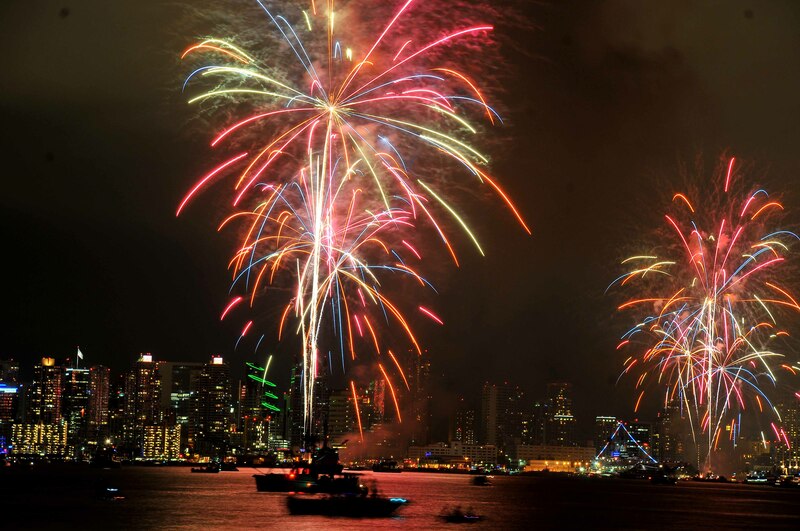 We scoured the region to find out who is hosting a fireworks show in San Diego County, and here’s what we’ve come up with. Big Bay Boom: The biggest fireworks show in the region is the Big Bay Boom, where spectators can see the show all along the bay. The show, which starts at 9 p.m., can also be viewed on Fox 5. If you plan to see the show live, tune into MAX FM 105.7 to hear music synced to the show. Ocean Beach: Head down to the Ocean Beach Pier for a seaside celebration. The town will host a fireworks show at 9 p.m. Synchronized music will air on KyXy 96.5. SeaWorld: SeaWorld San Diego will host its annual fireworks show at 9:40 a.m. The show, which can be viewed as far as Fashion Valley, will be set to music at the adventure park. 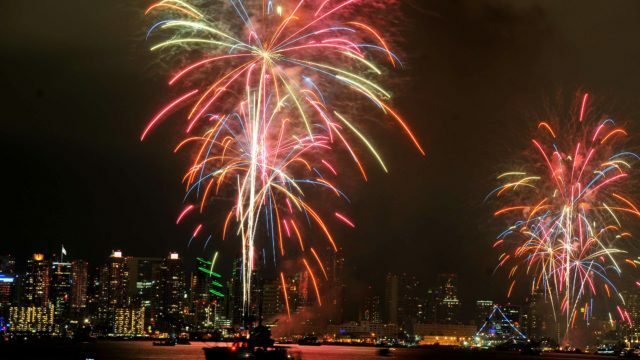 La Jolla Cove: The Ellen Browning Scripps Park will host a free fireworks show at 9 p.m.
Rancho Bernardo: The north San Diego community will host a day of festivities to celebrate July 4, ending with live music at 6 p.m. and a fireworks show at 9 p.m.
Mira Mesa: Mira Mesa will host its annual fireworks show at Mira Mesa High School. The show starts at 9 p.m. with synchronized music on KyXy 96.5. San Diego County Fair: Spend Independence Day at the Del Mar Fairgrounds. The San Diego County Fair will host its annual fireworks show from the Heineken Grandstand Stage at 9 p.m.
Legoland: Legoland California will host its annual Red, White and BOOM! celebration on July 4. Visitors can expect a day of fun, ending with a fireworks show at 8:30 p.m.
San Marcos: Bradley Park will host its annual Fourth of July celebration with live music from Liquid Blue at 6 p.m. A fireworks show will begin at 9 p.m.
Escondido: The city will host its 54th annual Independence Day Festival. The free event features live music, food and games for the kids. A fireworks show will start at 9 p.m.
Poway: Old Poway Park will host a 20th-century style festival. The event, which feature patriotic entertainment, food and games. A fireworks show will begin at 9 p.m.
Chula Vista: Chula Vista will host a fireworks show at the Elite Athlete Training Center. The show begins at 9 p.m. with synchronized music on 91X, Magic 92.5 and Z90. Imperial Beach: The South Bay beach city will host a Fourth of July fireworks show at 9 p.m. at the Pier. You can also listen to synced music on KyXy 96.5. Santee: The Town Center Community Park East will host a July 4 celebration from 3:30 p.m. to 10 p.m. Guests can expect live music, a kids’ zone and a fireworks show at 9 p.m.
El Cajon: Head over to Kennedy Park for a day of celebrations. The city will host a July 4 festival from 12 p.m. to 9 p.m. A fireworks show will kick off at 9 p.m.
Lake Murray: Expect live music all day on July 4 at Lake Murray. The festival kicks off at 11 a.m. and ends with a fireworks show at 9 p.m.